Ant-Man and The Wasp Production News! Ant-Man is one of my favorites in the MCU. I loved how the film was visually different, and the story, especially as told by Luis, was fun and heartwarming. I’m thrilled to share some Ant-Man and The Wasp production news. The BIG news of course is production has started! We also know that all of our favorites are in the film. Paul Rudd, Evangeline Lilly, Michael Peña and Michael Douglas are back in their starring roles. Alongside Bobby Cannavale, Judy Greer, Abby Ryder Fortson, Tip “T.I.” Harris, and David Dastmalchian who will also reprise their roles. 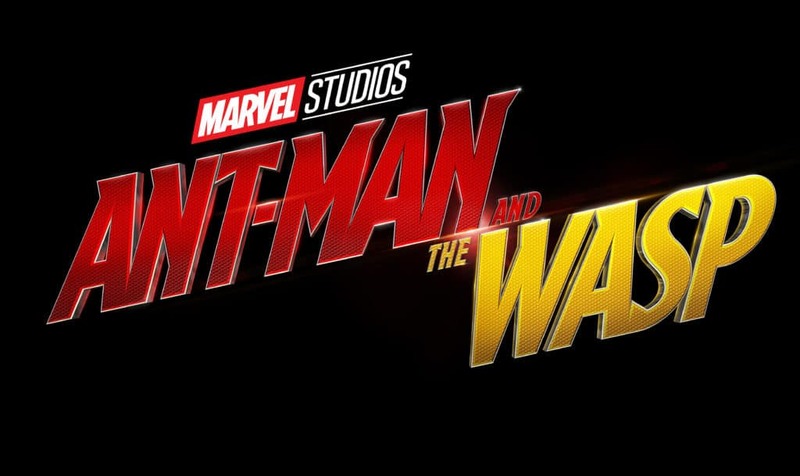 Newbies to the world of Ant-Man and The Wasp include Michelle Pfeiffer, Laurence Fishburne, Hannah John-Kamen, Walton Goggins, and Randall Park. I would love to see Laurence Fishburne eventually share screen time with Samuel L. Jackson’s Nick Fury in the future! After the events in Captain America: Civil War, Scott is trying to deal with both being a Super Hero and a dad. As if parenthood isn’t enough of a struggle, Hope and her father Dr. Hank Pym come to him with an urgent new mission. This time when Scott puts on the suit, he is fighting alongside The Wasp. They must learn to work together to uncover the secrets from their past. ANT-MAN and THE WASP will be in theaters July 6, 2018! Ant-Man and The Wasp Teaser Trailer! Previous Post: « Latest Black Panther Updates! I am so excited about this news. I have been waiting for a second Ant-Man movie like what forever. When Ant-Man came out, I had no interest in watching it. Then he was in Captain America: Civil War. I went back and watched the movie. Loved it. Laurence Fishburne! Oooh! The plot thickens. I know what that means for our little Ant Friend. I loved the first movie and cannot wait to see the second. My husband and I love these types of super-hero movies! And any production Laurence Fishburne is in is automatically awesome. We can hardly wait to see Ant Man and the Wasp. Thanks for sharing the production news! I just read about this on another blog. My son is so excited but wishes he didn’t have to wait until next summer. Thanks for sharing. You know, I haven’t seen Ant Man yet. I really need to watch. It sounds like a movie I’d enjoy. I’m really excited to see where they go with this one. There will probably be some small crossovers like in the most recent Captain America movie. I’ve never watched any of these movies but hubby is a big fan. I do like Paul Rudd though, so maybe I will give this one a try! This movie sounds like it’s gonna be a good one!! The Marvel movies are always pretty good. I know my family will be waiting patiently to see it. Come on July! YES! I am so ready for another Ant Man movie. The last one was great, and I am sure this one will be just as good. I must admit that I had never heard of the original Ant-Man. The newest installment sounds great for fans! My family is looking forward to seeing this when it comes out! We all liked the first one and I’m sure this one will be just as good. My family is looking forward to seeing this! We all liked the first one and I’m sure this one will be just as good. I think my entire family would like this movie. We love action and super hero movies! I am so excited about the ant man wasp production news! I remember when I took my son to see Ant Man at the movies. He had a blast….happy we can go again! Paul Rudd is great in his movies, he definitely knows how to make people laugh. I think this movie looks pretty good. I married into superheroes. My husband has always loved comic books, so I went along. But it’s hard not to be a huge fan yourself when Marvel keeps putting out such amazing movies. I haven’t seen the first movie, although I am a huge fan of Paul Rudd, so probably need to rectify this. We have seen the movie totally enjoyed it! The actor is truly great for delivering his lines. We love superhero movies … and actors and actress that plays their parts well. Ant Man was one of my favorite movies. We love the Marvels and can’t wait to see the Ant Man and The Wasp. Thanks for sharing the information. I cant wait for Ant man !!! Paul Rudd is one of my all time favorites and hes so great as ant man ! !